Whenever the NBA Finals come to a conclusion, it seems likely that will be the last we will see of Stephen Curry this summer. Curry is part of the pool of players that could be selected by USA Basketball to play in the 2016 Summer Olympics in Rio de Janeiro, has withdrawn his name from consideration. Outside of Curry, the Warriors have three other players in USA Basketball's player pool -- Klay Thompson, Andre Iguodala and Draymond Green. But according to Marcus Thompson of the Bay Area News Group, because of the looming threat of the Zika virus, which Pau Gasol has expressed concern about, Thompson and Iguodala may also withdraw their names from consideration. Green however, plans on playing if he is selected. With Curry out and Chris Paul also withdrawing, Team USA may now select John Wall or Damian Lillard to fill a guard spot. Kyrie Irving and Russell Westbrook are virtual locks, so either Wall or Lillard now have a strong opportunity to make the team since Curry and Paul won't be on it. And while it is disappointing that Curry won't play, it is quite understandable why he wants to sit this one out. 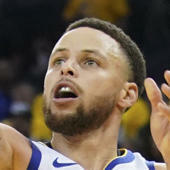 Curry injured his knee in the first round against the Houston Rockets and missed close to two weeks of action before returning. He hasn't shown any lingering effects from the injury, yet it is always best to be safe than sorry. Why should he push himself in the Olympics after playing in the NBA Finals for the second straight season? It will probably be better for Curry to get some much-needed rest and recuperation in the summer. Plus, Curry will likely still be at the top of his game for the 2020 Olympics, so it's not like he is missing on a once in a lifetime opportunity. It is rather unfortunate though that we will miss out on Curry launching wild 3-pointers on an international stage, but we may be better off in the long run, especially if the Warriors superstar comes back next season even better than before.